Dave Blaney picked up the 16th last-place finish of his Sprint Cup career in Sunday’s Coca-Cola 600 at the Charlotte Motor Speedway when his unsponsored #66 PRISM Motorsports Toyota fell out with transmission problems after completing 25 of the race’s 400 laps. Blaney was the fastest “go-or-go-home” car in Thursday’s qualifying session, securing the 17th starting spot with a speed of 184.932 mph. It was his best qualifying run since he started 3rd at Bristol in March. After skipping Happy Hour, Blaney started Sunday’s 600-mile contest, but pulled behind the wall under green 25 laps into the race. Teammate Michael McDowell followed suit nine laps later while previous last-place leader Joe Nemechek went behind the wall on lap 46, 21 laps after Blaney. The finish again moved Blaney and the #66 team into a tie with Joe Nemechek and his #87 for the current lead in both the 2010 Sprint Cup driver and team LASTCAR rankings. Blaney has also climbed into sole possession of 6th in the all-time LASTCAR rankings, five finishes away from Nemechek in 5th. *The race marked Blaney’s first last-place finish in a Cup race at Charlotte. 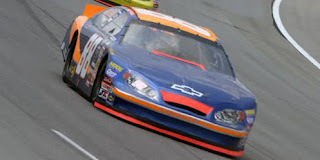 Blaney does have a last-place finish at Charlotte in the Nationwide Series, the 1998 Carquest Auto Parts 300. *It’s the first time the #66 had finished last in a Cup race at Charlotte since Darrell Waltrip lost his engine 32 laps into the 1999 Coca-Cola 600. *It’s the first time a driver finished last in a Cup race at Charlotte due to transmission problems since Joe Frasson fell out 70 laps into the 1974 World 600. Carl Edwards finished last in Saturday night’s NASCAR Sprint All-Star Race XXVI at the Charlotte Motor Speedway when his #99 Aflac Ford was involved in a multi-car accident 90 laps into the 100-lap race. Edwards’ up-and-down weekend began on qualifying day when, right after Showdown last-placer Joe Nemechek’s run, Edwards rolled out as one of the four final cars to make a timed lap. On his warm-up lap, Edwards suddenly slowed off turn four when he saw rain on his windshield. He drove backwards around the track and returned to pit road, but the qualifying session was soon cancelled, trapping Edwards back in the 26th spot in the Showdown due to his late qualifying draw. Edwards finished 10th in the Showdown, but was then voted-in to the main event, securing him the 21st and final starting spot in the All-Star Race. His uneventful run that night ended with a bang when he was unable to avoid a multi-car crash in turn one at the start of the fourth and final ten-lap segment. Trapped between Jeff Gordon and Dale Earnhardt, Jr. in the outside groove, Edwards was unable to avoid slamming into the wrecked car of Mark Martin. All of the bottom five finishers were involved in the wreck. *The race marked the first time Edwards had finished last in the All-Star Race. 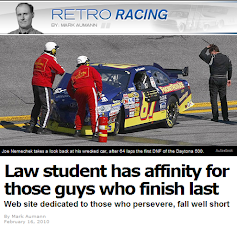 *It is the second time the #99 had ever finished last in the All-Star Race; Jeff Burton was the first in 1997. *Edwards completed the most laps of any All-Star Race last-place finisher. The previous record was held by Greg Sacks, who completed 82 of the 83 laps in the 1986 All-Star Race in Atlanta. *Edwards has just one last-place finish in a Cup points race: a crash in the 2006 Daytona 500. Mike Garvey picked up the 2nd last-place finish of his Camping World Truck Series career in Friday’s North Carolina Education Lottery 200 at the Charlotte Motor Speedway when his #93 S&W Services Chevrolet fell out with an engine failure after completing 9 of the race’s 134 laps. Garvey solidly made the field for Friday’s race, having qualified 27th at a speed of 171.668 mph, but went behind the wall two laps before the first caution fell on lap 11. 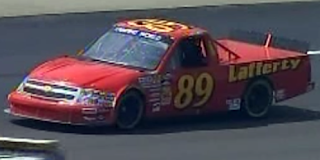 Wayne Edwards, the current last-place leader in the Truck Series, was one of the three trucks who failed to qualify for the race. Edwards has yet to make a Truck Series race in 2010. 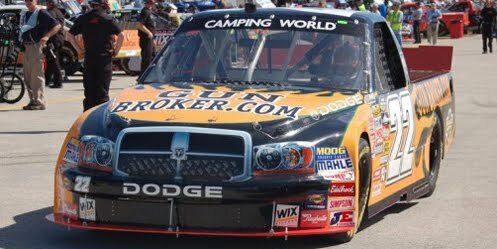 Garvey continued the streak of different drivers to finish last in each race during the 2010 Truck Series season, but now the #93 Shane Sieg-owned team is tied with Chris Lafferty’s #89 for the Team Rankings lead. *The race marked Garvey’s first last-place finish in a Truck Series race since the 2009 Ford 200 at Homestead, where his #38 overheated two laps into the race. 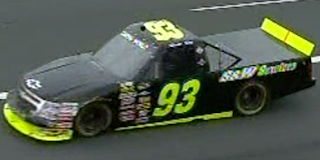 *It is the first time the #93 has ever finished last in a Truck Series race at Charlotte. Johnny Sauter picked up the 1st last-place finish of his Sprint Cup career in Sunday’s Autism Speaks 400 presented by Hershey’s Milk and Milkshakes at the Dover International Speedway when his unsponsored #36 Tommy Baldwin Racing Chevrolet fell out with electrical problems after completing 29 of the race’s 400 laps. Casey Mears was slated to make his third attempt as driver of the #36, but when Brian Vickers was hospitalized Thursday for blood clots in his legs and near his lungs, Mears was tabbed as Vicker’s substitute in the #83 Red Bull entry. This moved Sauter back into the #36 for the first time since Talladega, where a wreck left him 41st. In qualifying, Sauter secured the 43rd and final starting spot with a speed of 152.795 mph - his time was just fifteen thousandths of a second faster than Todd Bodine’s #64 Gunselman Motorsports entry, which was sent home along with Max Papis’ #13. Since the team did not have adequate sponsorship, however, Sauter was forced behind the wall under green, followed seven laps later by both PRISM Motorsports cars and Mike Bliss in James Finch’s #09. *Sauter’s finish in a Chevrolet ends a Toyota stranglehold on last place in the Cup Series: the last eight consecutive drivers to finish 43rd were all in Toyotas. *Sauter was the first driver to finish last with electrical problems since Tony Raines last fall in the 2009 Checker O’Reilly Auto Parts 500 at Phoenix. No driver had ever finished last with electrical problems in a Cup race at Dover. *For the second-straight year, a driver who didn’t have a single Cup last-place finish in nearly 100 starts ended up 43rd. Sauter’s finish came in his 79th start; David Gilliland’s finish in last year’s Autism Speaks 400 came in his 99th start. Sauter is the only first-time last-placer in the 2010 Cup season. *It was the first last-place finish for Tommy Baldwin Racing since the 2009 Ford 400 at Homestead, when the #36 was driven by Michael McDowell. *The #36 had never before finished last in a Cup race at Dover. David Gilliland picked up the 3rd last-place finish of his Nationwide Series career in Saturday’s Heluva Good! 200 at the Dover International Speedway when his unsponsored #91 D’Hont Humphrey Motorsports Chevrolet fell out after 1 of the race’s 205 laps with ignition problems. For better and for worse, Gilliland’s qualifying run was the day’s biggest surprise. His first timed lap was a blistering 154.606 mph, good enough to put his Chevrolet 8th in the starting grid. However, when he tried to get a little more on his second lap, his right-front tire cut down in turns three and four, sending his car hard into the outside wall. With the race hours away, Gilliland was forced to a backup car which ran just one lap before it pulled behind the wall. Last-place leader Dennis Setzer was not in Saturday’s race, while owner Brad Keselowski finished 42nd, four laps ahead of Gilliland, in the #92 that continues to lead the Team Rankings. Johnny Chapman, still one finish away from tying Ed Berrier for second in the all-time series rankings, finished 39th driving Derrike Cope’s #73. *The race marked Gilliland’s first last-place finish in the Nationwide Series since the 2005 Arizona 200 presented by Walk The Line at Phoenix, where his #03 lost its engine after 12 of 200 laps. That year, Gilliland became the only driver ever to sweep both last-place finishes at Phoenix. 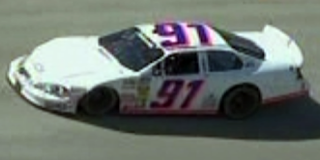 *The #91 had not finished last in a Nationwide Series race at Dover since Danny Weese lost the oil pump on his JeNet’s Hair Boutique Oldsmobile 7 laps into the 1985 Budweiser 200 at Dover. *The #91 had not finished last in a Nationwide Series race of any kind since Dave Blaney, driving for MSRP Motorsports, in the 2009 Degree V12 300 in Atlanta. *After eleven races, both D’Hont Humphrey Motorsports teams have now finished last in 2010. 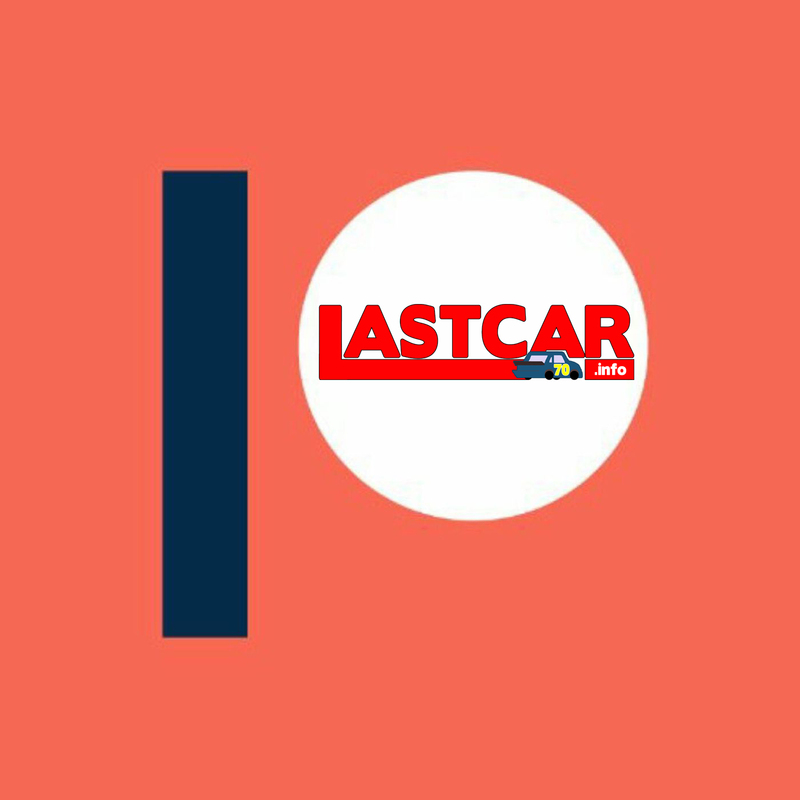 LASTCAR: Now With Nationwide and Truck Series Coverage! 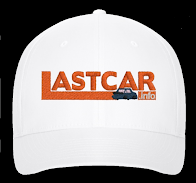 I am proud to announce that, starting this weekend at Dover, LASTCAR will now be tracking the last-place finishers of not only the Sprint Cup Series, but also the Nationwide Series and the Camping World Truck Series. To complement the rankings for both series, which can now be accessed with the Sprint Cup stats on the right side of this page, I’ve added this article to introduce how the last-place competition in these two divisions has taken shape. Included below are the rankings for the first part of the 2010 season, current through the most recent events at Darlington (Nationwide) and Kansas (Trucks). Enjoy! In its 28-year history, the NASCAR Nationwide Series has seen just six different drivers lead the all-time standings for last-place finishes. After he tied Jimmy Lawson for the lead in the inaugural 1982 season, the late John Linville took the lead in 1983 and went on to score a career total of 10 by 1988. Linville’s record stood until another series veteran, Ed Berrier, scored his 11th in 1992. From 1994 through 2001, Tommy Houston challenged Berrier’s mark, having tied it in 1994 before he picked up the 12th and final of his career in 1996. Berrier came back to tie Houston in 1998, then reassumed the lead with a 13th in 2001. In the nine years since, the battle for the last-place lead has intensified. 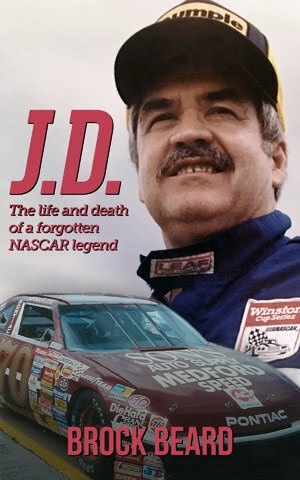 In 2002, Means Racing scored six last-place finishes, reminiscent of the nine Jimmy Means’ operation racked up in the 1992 Winston Cup season. A few years later, MSRP Motorsports, owned by Phil Parsons, racked up a whopping 21 last-place finishes during the 70 Nationwide Series races held from 2008 through 2009. Eight of MSRP’s twelve finishes during the 2009 season were with driver Johnny Chapman, who in doing so amassed the second-most finishes by a single Nationwide Series driver in one season. As of now, Chapman’s season record is still eclipsed by that of current all-time LASTCAR Nationwide Series leader Jeff Fuller, who scored 11 of his 24 career last-place finishes in the 2004 season alone. As owner Joe Nemechek’s teammate, Fuller’s 2004 campaign for NEMCO Motorsports (pictured) shattered Fuller’s own record from 2003, when he scored seven finishes. Thanks in part to Fuller, NEMCO still holds the LASTCAR owner’s record of 13 finishes in a single season; MSRP came up one finish short of tying the record in 2009. In addition, both Fuller and Chapman are the only two drivers to score three consecutive last-place finishes in the Nationwide Series: Fuller’s came at Rockingham, Las Vegas, and Darlington in 2004; Chapman’s were at Milwaukee, New Hampshire, and Daytona in 2009. In 2010, MSRP Motorsports has changed hands; its #90 and #91 now run under the new D’Hont Humphrey Motorsports team. Driving Johnny Chapman’s old #90, Danny O’Quinn, Jr. picked up D’Hont Humphrey’s first - and, so far, only - last-place finish with a brake failure at Nashville. Meanwhile, Chapman is now one of the drivers for Brian Keselowski’s K-Automotive Motorsports team, which currently leads the 2010 Owner’s Standings with six of the season’s first ten last-place finishes (five for the #92, one for the #96). Chapman scored the 12th last-place finish of his career for K-Automotive at Bristol, moving him to within one finish of tying Ed Berrier for 2nd on the all-time list. Teammate Dennis Setzer’s four finishes for K-Automotive have given him the lead in the 2010 Driver’s Rankings. Since its first full season of competition in 1995, five drivers have led the rankings for the most last-place finishes in the NASCAR Camping World Truck Series. Although T.J. Clark and John Kinder were tied at the end of 1995 with three finishes apiece, it was a third driver, Mike Hurlbert, who passed them both when he scored five finishes in 1996. Combined with a finish of his own in 1995, Hurlbert’s 1996 season moved him into the overall lead with a total of six. Three years later, Phil Bonifield broke Hurlbert’s driver and team season records, racking up the first six last-place finishes of his career driving the #23 Chevrolet in 1999. While Bonifield’s ‘99 season only tied Hurlbert for the overall lead, three more finishes in 2000 moved him into the top spot with nine. Bonifield extended his lead to 11 in 2003, setting a mark that stood for five years. In 2008, Wayne Edwards crept into the picture and tied Bonifield’s mark. Edwards scored just three last-place finishes in ‘08, but had also picked up at least one last-place finish in six of the eight seasons that preceded it. 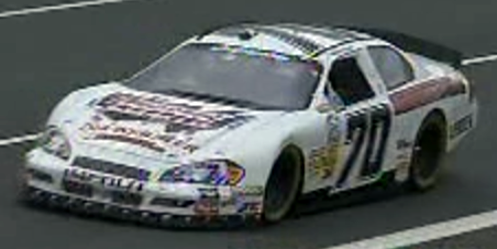 Edwards’ 2008 campaign came while driving the #0 Chevrolet, which changed hands between owners Gene Christensen and Bobby Dotter. Between the two owners, the #0 racked up a Truck Series record 13 last-place finishes (9 for Christensen, 4 for Dotter). The #0 also became the only team in the series to have scored three-straight last-place finishes, which came at Michigan, Milwaukee, and Memphis. Edwards finally broke his tie with Bonifield when his 12th finish came in the 2009 season opener at Daytona while driving the #22 Dodge for owner Dwayne Gaulding (pictured). A 13th came that summer at Bristol in the #47 Chevrolet owned by Andy Hillenburg, setting Edwards’ current all-time record for the Truck Series. Currently third in the rankings with eight finishes is Johnny Chapman, who scored two of his finishes while sharing driving duties with Edwards in the #0 during the 2008 season. The prolific Chapman is the very driver who is also third in the Nationwide Series rankings with 12 finishes. In 2010, the battle for the LASTCAR lead in the Truck Series has stabilized - for now. Neither Wayne Edwards nor Johnny Chapman have yet to qualify for a Truck Series race this season and all five races run so far have had different last-place finishers who drove for five different teams. (8) A.J. Allmendinger, Brett Bodine, Clint Bowyer, Kyle Busch, Chad Chaffin, James Cox, Joe Frasson, Larry Gunselman, John Jackson, Chris Jones, Jimmie Lewallen, Chad Little, Bosco Lowe, Larry Pearson, Randy Porter, Loni Richardson, Ricky Rudd, Bill Shirey, Jack Sprague, Tony Stewart, Hut Stricklin, Joe Thurman, Martin Truex, Jr.
Reed Sorenson picked up the 5th last-place finish of his Cup Series career in Saturday’s Showtime Southern 500 at the Darlington Raceway when his unsponsored #32 Braun Racing Toyota fell out with crash damage after completing 19 of the race’s 367 laps. Sorenson was making his fourth attempt of the 2010 season and his second straight without a sponsor. In qualifying, his first timed lap was 175.987 mph, but a spin off turn three during his second lap forced him to wait and see if he would make the show. In the end, five other cars outside the Top 35 ran slower than Sorenson, giving him the 36th starting spot. On Saturday, Sorenson dropped to the back of the field before the start, then went to the garage shortly after he slapped the outside wall during the opening green-flag run. It was the first last-place finish of 2010 for both Sorenson and Braun Racing. 2010 last-place leader Joe Nemechek failed to qualify for Saturday’s race in a backup car after his primary, 18th fastest in the opening practice, was destroyed in a single-car wreck in Happy Hour. Both PRISM Motorsports cars of Dave Blaney and Michael McDowell rebounded from DNQs last week at Richmond and finished 42nd and 40th, respectively. McDowell’s car fell out when brake heat melted the bead on his right-front tire in turn two on lap 44, bringing out the first caution of the race. *Sorenson’s most recent last-place finish in Cup Series competition was the 2008 Aaron’s 499 at Talladega, where his #41 Target Dodge lost the engine four laps into the race. *Sorenson was the first driver to finish last while driving NASCAR’s “Car of Tomorrow;” he crashed out 21 laps into the 2007 Food City 500 at Bristol. *The finish was the second-ever for Braun Racing in the Cup Series. Shane Hmiel made his Cup debut for the team in the 2005 Kobalt Tools 500 at Atlanta, but his #08 Win Fuel Chevrolet was involved in a multi-car wreck on the first lap. *The most recent last-place finish by the #32 in a Cup race was Bobby Hamilton, Jr’s Tide Chevrolet, when it lost an engine 63 laps into the 2005 Banquet 400 at Kansas. *The #32 has never before finished last in a Cup race at Darlington, although the number of Roscoe Thompson’s 1949 Oldsmobile in the inaugural 1950 Southern 500 is unknown.